When the iPhone 6 launched, it was heavily criticized because it was mysteriously bending in people’s pocket. This problem became popular when YouTuber Unbox Therapy posted a video showing how easily he can bend an iPhone 6 Plus with his bare hands. The bendgate scandal, as it became to be known, turned out not to be as popular as the media and Android users made it look. Apple officially stated that there were only nine cases of iPhone 6 with bending problem. The bendgate scandal has now died. 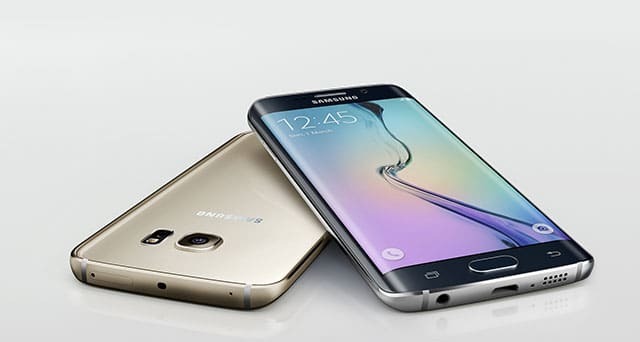 But it appears that the Galaxy S6 has the same “problem” as the iPhone 6. Both phones bend with the same amount of weight, according to a video-test conducted by SquareTrade Inc. The test puts the iPhone 6, HTC One M9, and newly released Galaxy S6 Edge on a weight test to see where each phone breaking point is at. As we can see from the video, the iPhone 6 Plus firstly bent under 110 pounds of pressure, and completely failed when 179 pounds of pressure was applied on it. During the test, the HTC One M9 lost the battle. The HTC One M9 completely failed and bent at the same time, at 120 pounds of pressure. And as for the Galaxy S6 Edge, just like the iPhone 6 (didn’t see that coming? ), the phone bent when 110 pounds of force was applied on it. Unlike the iPhone 6, the Galaxy S6 Edge screen got shattered at 110 pounds. When applied 149 pounds, the Galaxy S6 Edge broke entirely.